With the world such a small place as it is, and with more and more foreign destinations becoming popular, it's highly probable most travelers have their share of horror travel trips. It's just that we don't write about them, or can't write about them. 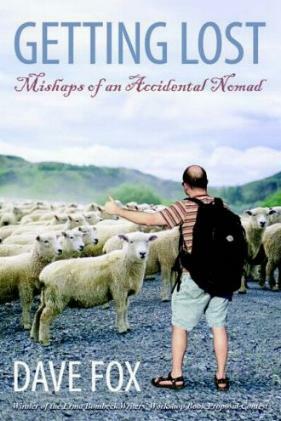 Seasoned traveler and Rick Steves' tour guide, Dave Fox, got bitten by the travel bug at a young age when his parents whisked the family off to England for a year. He hilariously recalls his trips while in England, as well as being a young foreigner in a foreign land, as well as his subsequent travels and "adventures" with clarity and great wit. The Norwegian drinking age chapter on page 73 was interesting and there could be a lesson there. We're treated to train trips, cruise ships, Greece, Turkey, France, and more, all with great humor. I've had my fair share of mishaps while traveling but I have to say, not being very adventurous, my experiences pale in comparison. I loved this book and caught myself smiling or chuckling on nearly every page. Visit the intrepid traveler at his website. Conclusion - You've got to read this book. While not only humorous and entertaining, it'll give you cause to pause and rethink sending your student kid off via a student exchange program.